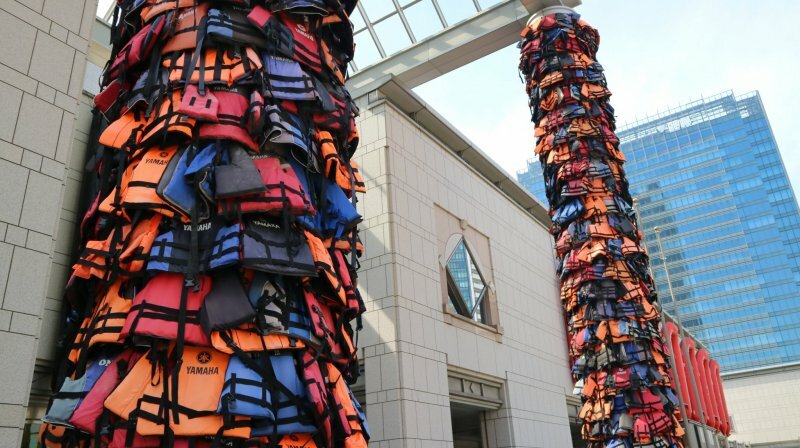 Many people might be surprised to see lifeboats hanging on the façade of the Yokohama Museum of Art. 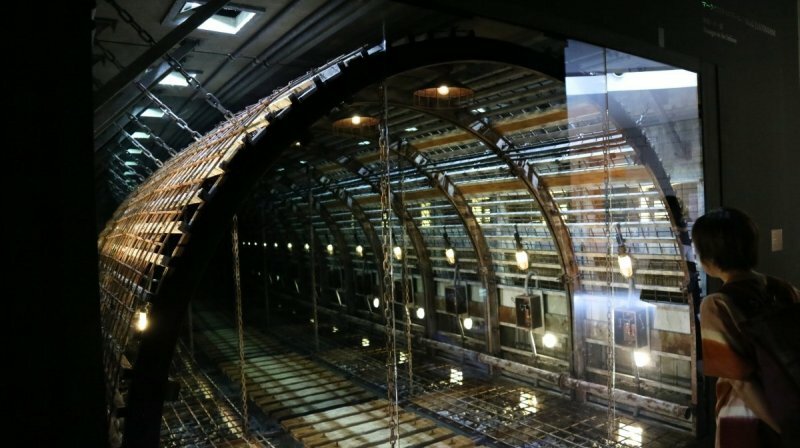 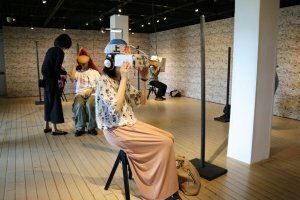 That's a prelude of what to expect from the Yokohama Triennale 2017, held in three venues in the city from August 4th until November 5th. 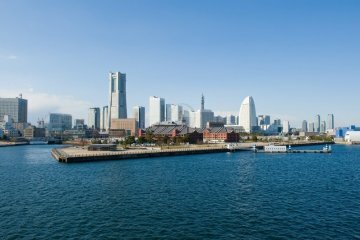 Besides the museum, other works can be seen at the Red Brick Warehouse No.1 and in the basement of the Yokohama Port Opening Hall. 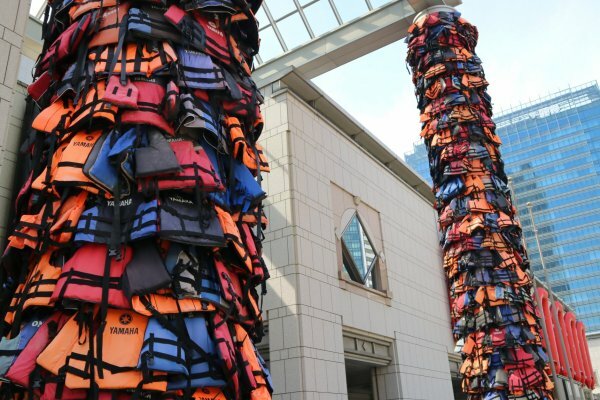 The unusual façade, which also displays thousands of lifejackets actually used by refugees, is Ai Weiwei's reminder about the refugee crisis. 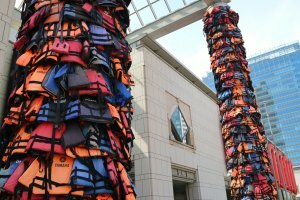 According to the artist, "art is the best bridge to make people recognize the human value and to communicate in a deeper and broader level". 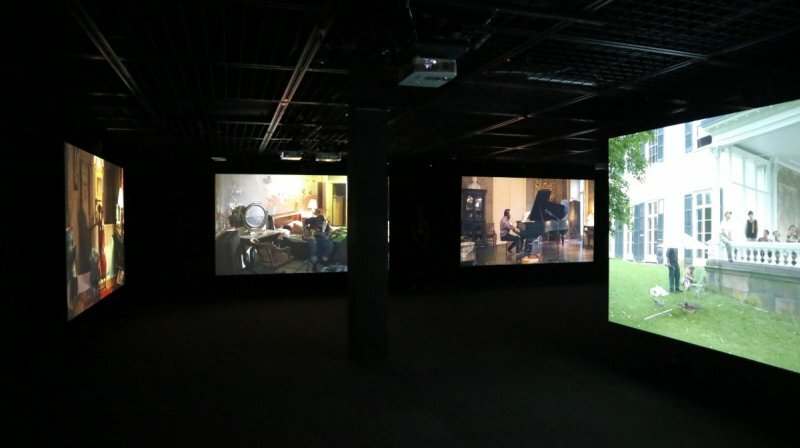 Entitled "Islands, Constellations & Galapagos", the art event focuses on the concepts of connectivity and isolation in a moment when multiculturalism, separatist movements, immigration and social media revolutions are inextricable to the global changes. 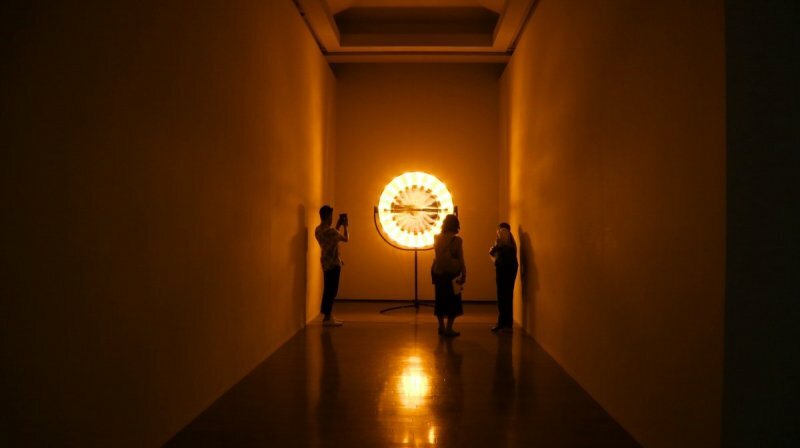 Olafur Eliasson, Kinoshita Susumu, Katie Paterson and Maurizio Cattelan also join the group of artists selected for this edition. 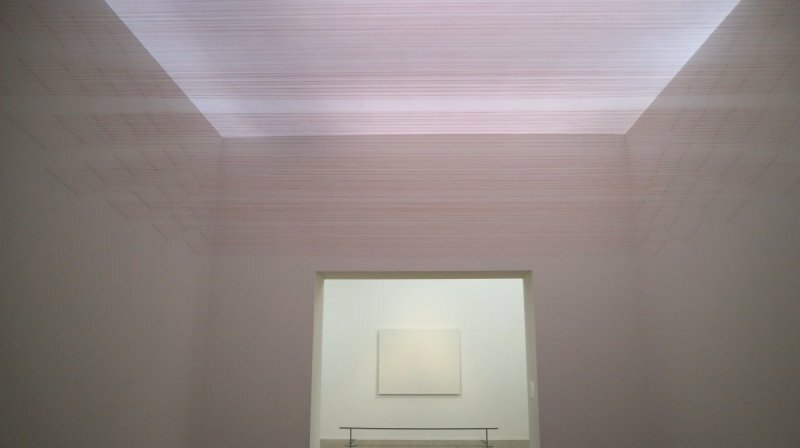 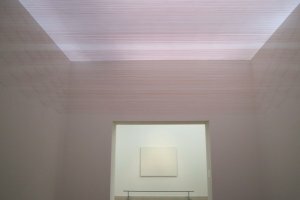 In very different ways, the artworks bring into discussion the idea of the individual and the society. 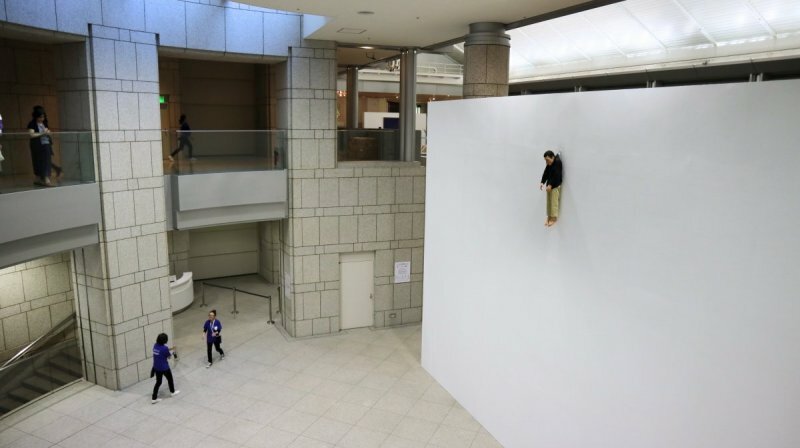 The project "Don't Follow the Wind" seeks to combat alienation and society's amnesia regarding the 2011 TEPCO meltdown. 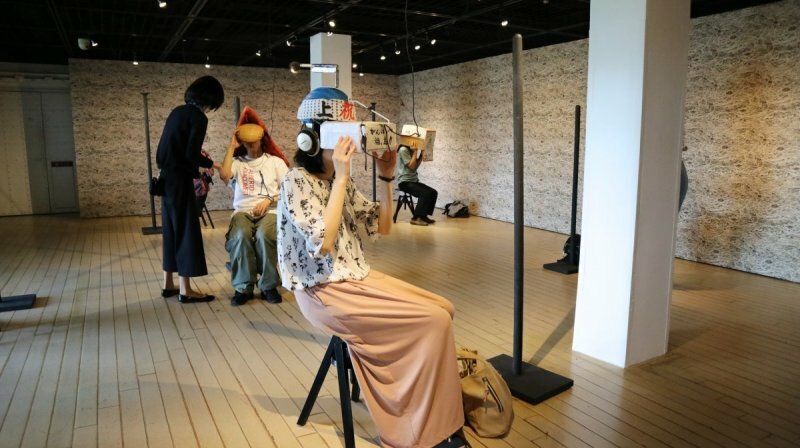 Initiated by the Japanese art collective Chim↑Pom, it offers the visitors the opportunity to see 360-degree videos of the inaccessible sites in the Fukushima exclusion zone. 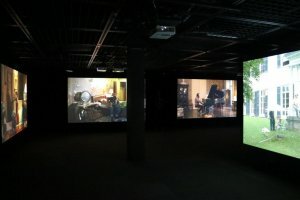 "The Visitors", by the Icelandic artist Ragnar Kjartansson, evokes an emotional experience by displaying a nine-channel video projection showing musicians trying to play the same song, relying on the sound of others' playing. 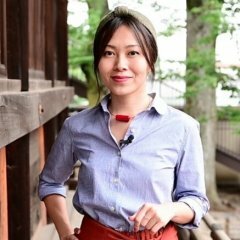 Their connection and guidance are supported only by the sound heard through headphones. 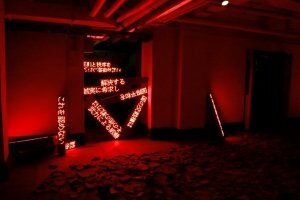 Yanagi Yukinori creates a gloomy ambiance in Yokohama's Port Opening Memorial Hall's basement. 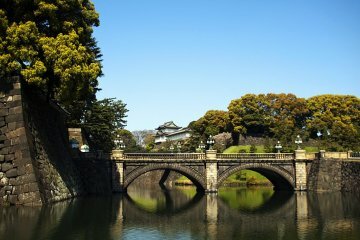 In times when Japan faces threats of the North Korean government, his "Article 9" project, conceived in the 90's, seems to become more relevant than ever. 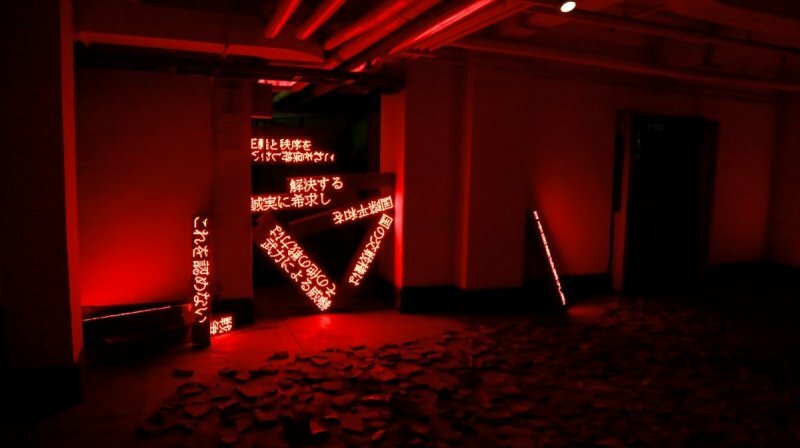 The LED installation refers to the Japanese Constitution's article that renounces war.